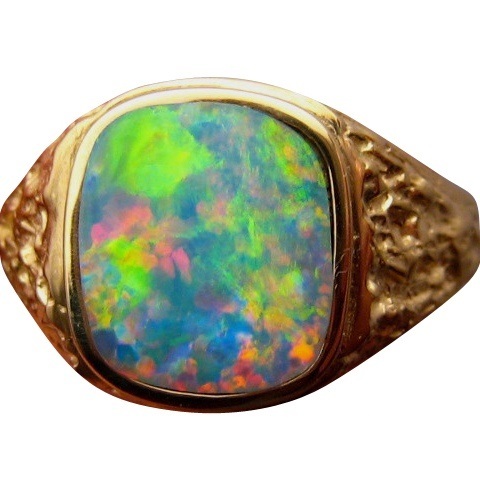 Mens Opal ring in 14k Gold with a large square cut Opal showing bright multi colors and inlaid in a wide textured band. 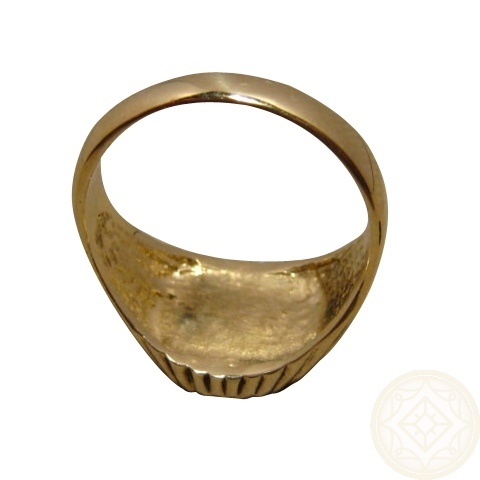 This Opal ring for men is a masculine yet stylish design. 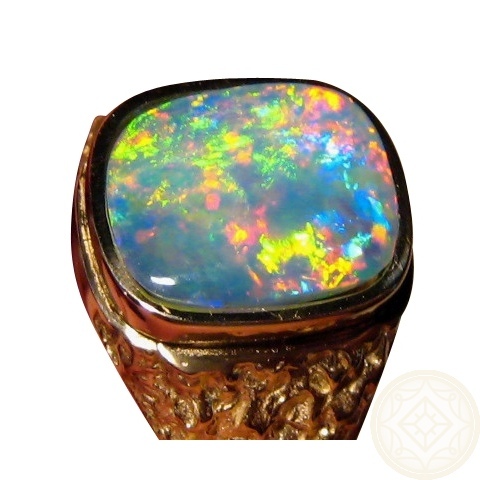 A substantial ring in 14k gold weighing about 6 grams with a textured band tapering down from 11 mm wide, is inlaid with a very bright and colorful Lightning Ridge Opal that flashes in a lively play of color which is best viewed in the video below. 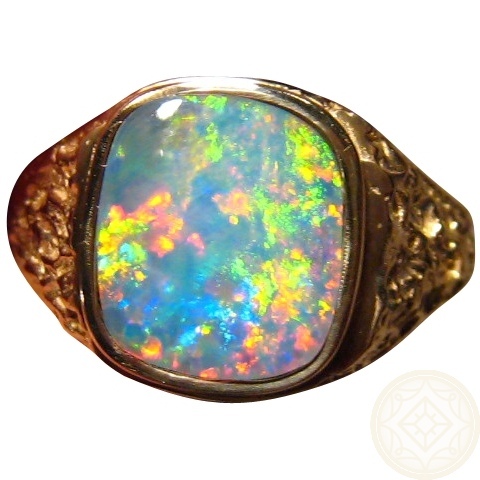 This mens quality Opal ring has been sold however it is possible for one to be Made to Order in your ring size and choice of Gold color. Any aspect of the design can be changed such as a hammered or smooth finish. Contact through the 'Ask a question' link above to ask for availability and a no obligation price quote.